What Are the Basic Guides To Installing The Simple Split-Rail Fencing? The guide gives a detailed information about split rail fencing. The purpose of writing this guide is to give detailed evaluation of split rail fencing and see if it suits your need. 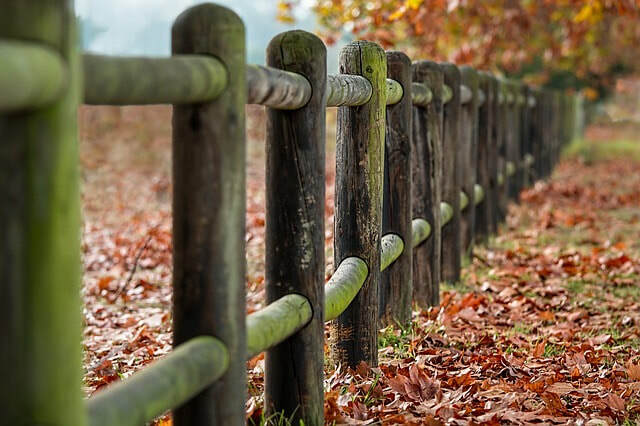 This guide will help you to understand almost everything about the split rail fencing, its style, how it got its name, how much it will cost to get one installed, as well as the factors surrounding its installation and maintenance. The split-rail fencing is also known as the log fence, snake fence, worm fence or zigzag fence, due to its twisting layout. The split-rail fencing is mostly installed in the US and Canada. The split-rail fencing is constructed with timber logs, which is usually split into rails along the length. This type of fencing is usually used for decorative or agricultural purpose. Split-rail fencing requires the use of more timbers than any other fencing options. Hence, it is generally constructed in areas with an abundant supply of wood. However, split-rail fencing is very simple in its construction. It can be constructed with few tools even on rocky or hard ground. The split-rail fencing can also be constructed without using any nail or other hardware. In case the fence needs to be moved or removed, the split-rail fencing can be partially or wholly disassembled. Split rail fencing is made of rot-resistant logs that are easy to split. The American chestnut used to be the preferred wood choice until it was eliminated by chestnut blight. Nowadays, Currently, split rail fencing is commonly made of cedar. Irrespective if the wood used in constructing the Split rail fencing, the wood must be sawn into a length of 10 to 12 ft (3.0 to 3.7 meters) and further split into log lengths. An 8-inch (20 cm) log may produce about 4 rails, while a larger log produces over a dozen rails. The rails are fixed on top of one another. Rails of some split rail fencing are fitted in an interlocking zig-zag pattern that is easy to create, durable, self-supporting, easy to disassemble, and easy to repair. Other Split rail fencing have the rails fixed directly on top of each other and held firmly with double fence posts, one on each side of the rails. This ensues a more permanent and strong Split rail fencing which remains easy to repair. In the case of split rail fencing with zig-zag pattern, the distance between each zig or zags is normally 16.5 ft (5 meters). 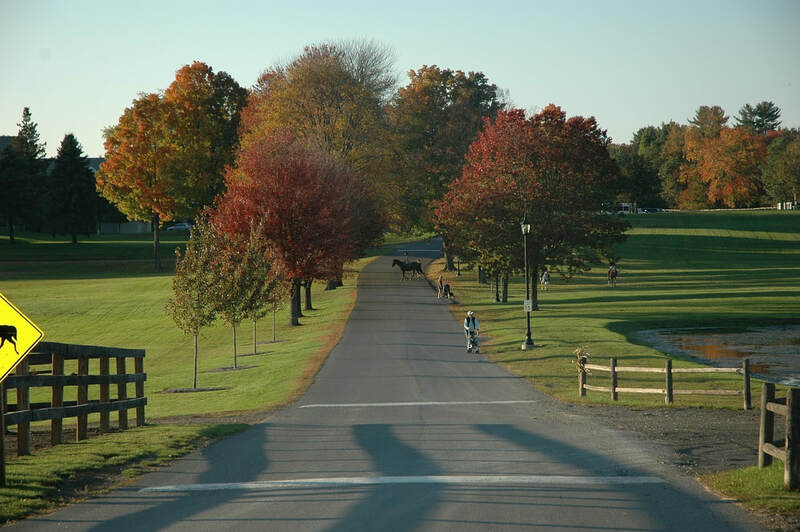 In the UK and also in some part of the US, a different style of split rail fencing is adopted. This style is not the free-standing type as it comprises posts that are erected vertically. Each post has mortises (holes) on each side, the split rails are sharpened on both ends. These ends are placed in these mortises. In this case, the zig-zag styling is not necessary. This type of split rail fencing is mostly used for horse-keeping or as decorative fencing. The split rail fencing gives a casual and countryside look to your property as well as a level of functionality. Despite the fact that the split rail fencing has been in use for years, its use remains very popular today in rural residential use and on farms and ranches. How Much Does The Split Rail Fencing Cost? 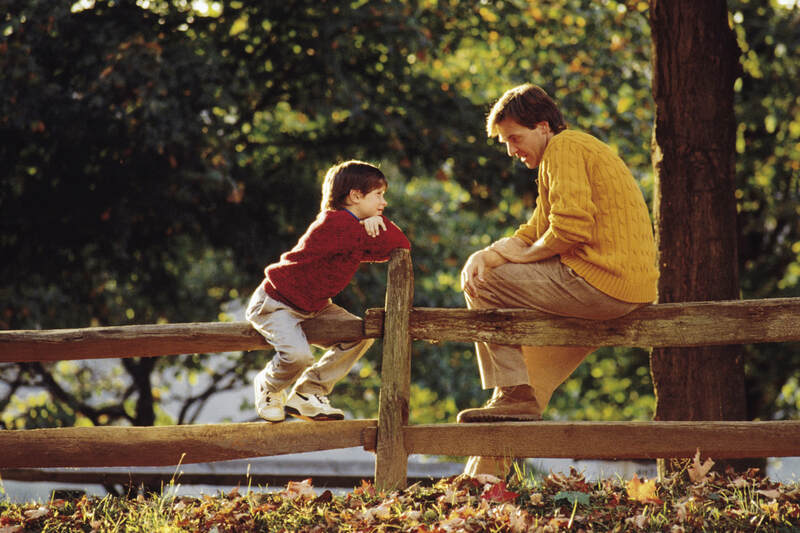 Considering the cost, the split rail fencing is very cheap and affordable, even when woods of high-quality is used. It can sometimes be cheaper than the barbed wire fencing option. Installing the split rail fencing may cost between $12 to $16 per linear foot if you hire an expert or between $8 to $12 per linear foot if you choose to do it yourself, depending on the type of wood you choose and the length of the rails. However, for the vinyl split rail fencing, the estimated cost would be between $15 to $20 per linear foot just for the material and about $4 per linear foot for the installation. Installing the split rail fencing requires either a manual or powered digger to dig the post holes. There is also need for a saw which will be used to cut the rails to fit specific sizes. If you choose to set the posts with concrete and plan to pre-mix it, then you would need a mixer, the manual type is ok. But most farmers and ranchers simply set the posts in the dug holes and pour gravel and tamped soil but some pour dry cement into the hole, then add water. The cost of installation is about $4 per linear foot or about 25 percent of the whole job. If you’re the DIY type, nothing really stops you from doing the installation yourself. But most professional fence installer can also install it, so it might be sensible for you to get a few estimates before deciding on an option either to DIY and save the money you would use in hiring an expert or hire an expert and save the time and effort it will take you to do the job. The split rail fencing can be constructed with various types of wood which include hemlock, spruce, pine, cedar, and chestnut. species has the best natural water-resistant characteristics. Western Red cedar last the longest and requires the least amount of maintenance. More so, cedar is also very resistant to insect infestation. An unpainted or unstained cedar wood weathers to an attractive, classic silver-gray color. Though, split rail fencing is mostly made of wood, some split rail fencing producers have begun to make vinyl split rail fencing materials. These vinyl split rail fencing materials are obtainable in various shades and are completely maintenance-free. Though the fence posts can actually be of any desired size, it typically rises about 3 ft to 4 ft above the ground. If you prefer a fence of a non-standard height, you might need to place special-order. The standard 3 ft posts use 2 rails and the 4 ft posts use 3 rails. Each rail is typically 10 inches long though you might get the 8 inches rails from your supplier or contractor. Note that by using the 8 inches rails, you’ll have to use 2.5 more posts per 100 linear feet of fencing. How Can You Use The Split Rail Fencing? The split rail fencing is mostly used for both practical and decorative purposes. For appearance, it is often used in front of a home to set it off from the road. In fact, sometimes, non-connecting sections are used purely for ornamental purpose. 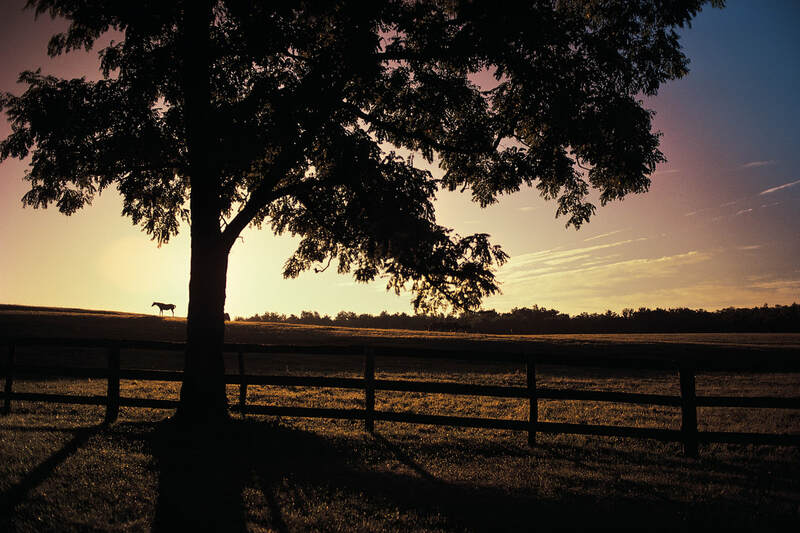 The split rail fencing can’t keep critters pests, or small pets out, but the fence is very effective for large animals such as livestock, horses, etc. The wooden split rail fencing doesn’t need any much maintenance. The wood can be either be painted or stained to significantly prolong the lifespan of the wood. Staining or Painting is the best choice to preserve wood other than cedar. While vinyl fencing is maintenance-free, especially when shorter runs are installed. Most property and homeowners power wash the vinyl split rail fencing once or twice a year as the case may be. Whenever you’re making plans to install a new split rail fencing, ensure that you think about how long the fence is going to last. This actually has to do with the type of wood to use, how long the chosen wood will last, and how long or soon it will take to get the wood replaced. 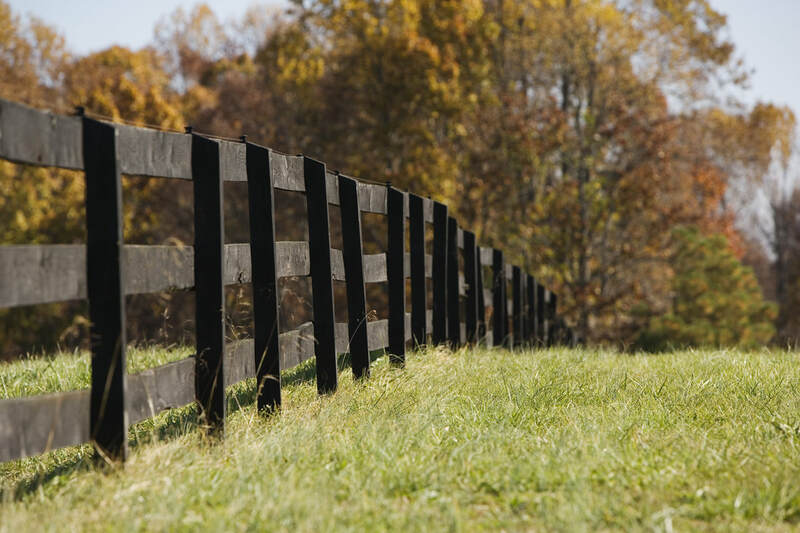 What Are The Factors To Consider Before Installing The Split Rail Fencing? The first thing you should consider when estimating how long the life of your proposed split rail fencing will last is the natural life of you wood to be used. Like stated above, the most commonly used wood types for the split rail fencing are hemlock, spruce, pine, cedar, and chestnut. Depending on the species, cedar – like the Western Red cedar – may last for more than 15 years, spruce may last for more than 5 years, while pine may last for up to 8 years or more. It has been claimed by most wood treatment firms that when wood is treated, it can likely last more than 20 years. This fact is true for both pine and spruce, whereas cedar can last up to 40 years when treated. The truth remains whatever money you spend on constructing your split rail fencing with treated woods, you’ll be compensated for it in the long run. How To Construct The Split Rail Fencing? The required skill level for constructing the split rail fencing is intermediate, however, the estimated time varies based on individual differences and availability of materials. Also, you don't need lots of money or a special tool to construct the split rail fencing. The split rail fencing, also called the post and rail fencing, is basically a rustic version of the board fencing option and also makes a good choice for a decorative accent, for making demarcations, or for marking simple boundaries that has no solid visual barrier. The split rail fencing is mainly constructed with split cedar logs, the fencing materials naturally have random shapes and dimensions, coupled with characteristic marks and imperfect details which all give the split rail fencing an appealing hand-hewn look. Untreated woods are subjected to natural weathering which only enhances the rustic beauty of the fence. Split rail fencing installation couldn’t be simpler. It consists of vertical posts which have notches or holes known as mortises cut into one or two facets. The poles are fitted into the ground while the roughly pointed ends (tendons) of the split rails are fitted into these mortises. The fitting requires no fasteners. There are basically 3 types of posts to accommodate the fence construction: the common posts have mortises that pass through them i.e. a through hole, the end posts only have half-depth mortises on one side, and the corner posts which have half-depth mortises on its adjacent sides. There are typically two split rail fencing styles: the two-rail split fencing stands about 3 ft tall, and the three-rail split fencing stands about 4 ft tall. The split rails are usually available in 8 ft and 10 ft lengths. To maintain the rustic and simple look of the split rail fencing, it is typically installed by setting each post with gravel and tamped soil instead of concrete. This saves you the expense of concrete and makes it much easier to replace a post if need be. For firmness, make sure that you bury about one-third of the total post length or at least 24 inches. For example, a supposed 3 ft tall split rail fence should have at least 60 inches long posts. You wouldn’t want your fence to cause problem with your neighbors, elicit fines or damage any utility structure. So, be careful to attend to all necessary administrative and paperwork first before heading to installing your split rail fencing. Start by making researches about laws and code of conducts that govern your area, zone, or state. Once you’ve understood the governing laws such as appropriate fencing height, setbacks from your property lines, etc. you can then proceed to mark your boundaries, where your fence would sit and how it would look like. Also make sure that you don’t infringe encroach your neighbor's yard with your boundary. Study your property survey very well. Sketch out where you want the split rail fencing to sit, draw its layout on a copy of the property survey. You can then estimate how much material the installation would require. 110 feet of fence could cost you about $425. Some authorities demand that you file a fence permit with the building department, this involve paying a small fee and submitting a sketch of your proposed fence. Drive pegs or stakes into the ground to mark the corners and a few feet past each corner. connect these stakes with string tied about 12 inches above the ground. If your split rail fencing would run parallel to the sides of your home, ensure that you measured out from the walls in a few places to keep a consistent spacing. You can use the 3-4-5 rule, commonly used by carpenters, or the Pythagorean theorem to ensure that each corner make a square. It’s advisable to work out from a corner, lay the post rails along the boundary, overlapping the ends of the rails by about 6 inches. The corners mark where you'll dig holes for the common posts. You can mark these locations on the ground with spray paint. Each post should be marked at 36 inches from its bottom end. This measurement takes the depth of the post's hole – 24 inches – and adds the 12-inch-high string line. When you set the posts in the ground, these marks will act as reference points to help you establish the right height of the rails. Are you going manual or powered? Most people prefer to use the posthole digger than the powered augers as the powered augers can get dangerously stuck into a rocky ground. When you choose the posthole digger. It is better to grip the two handles together with both hands before you thrust the blades into the ground. Your holes should be about 24 inches deep and 10 inches in diameter. However, the most important measurement is from the bottom of the hole to the string, which ought to be should be 36 inches. In case you need to pass through stubborn roots or shift any rocks, you can use the dig-and-tamp bar. But if you encounter a rock that wouldn't shift, simply cut off 6 inches from the post. It’s still ok that way, though cutting off more than that could destabilized the post and affect your entire split rail fencing. Set the posts upright into each hole, ensuring that the reference mark aligns with the string line. In case the reference mark doesn’t align, you may need to either fill back the hole with gravel/rock or dig deeper. And once it aligns, start filling up the holes. Make use of a level to ensure that the posts are plumb. You can as well simply eyeball the post against the corners of your house. Once the hole is filled, compress the base area around the post, you may soak it to, you may as well plant grass seeds in there. Once your posts are well fitted into the ground, slide each post rail through the mortises far enough so that you it can as well fit into the mortises on the opposite post. Once your split rail fencing is installed, you need to apply a protective finish and all that reseed the damaged part of the lawn. If possible, apply a clear exterior-­grade stain to your split rail fencing to give it a finished look.